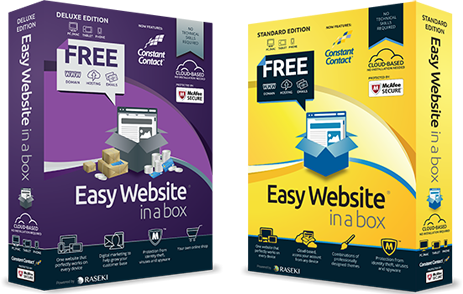 Introducing Easy Website In A Box. 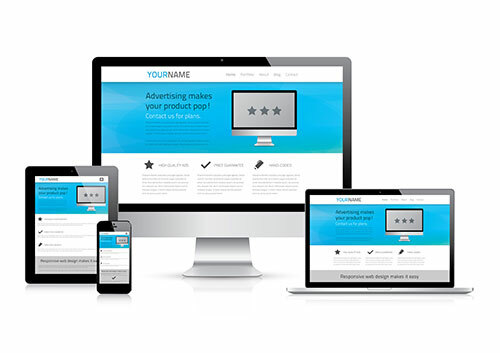 Your easy to use DIY website builder. Plus, comes with everything you need - FREE hosting, emails and Domain. Easy Website In A Box - The world's first cloud-based website builder for non-technical people that provides you with an easy, responsive and secure website. Website package created for the non-techie who just wants a website and everything they need to get it up and running. Without the worry of and the know how of who is hosting it, where can I buy a domain, etc. Automatically resizes to fits all screen device sizes. Storage area for all your uploaded files and pictures. Fully protected by McAfee Secure. Cloud server to run your website from. Full e-commerce with basket and payment gateway. Name address of your website. Search Engine Optimised for your Google Ranking. Access your dashboard from any device. No need to install or download software and keep it up-to-date. Being cloud based, you can access your website account and building tools from any device, and you will always be on the latest version. Plus, we keep your files safe for you. Upload & Edit photos, blogs and articles. Access your account from your smartphone or tablet to create or update your website wherever you are, be it on the bus, train or stuck in traffic. No computer required. Sell your products online with your very own e-Shop, complete with shopping basket and secured payment gateway. Upload as many products as you want, and keep track of sales with our stock control feature. (Deluxe Edition Only). Website protection from the best. McAfee Secure guards and protects your website against identity theft, viruses, spyware and other online threats, to ensure a safe online environment for both you and your customers. Here is just a very small portion of our work. Contact us now or checkout Easy Website In A Box's website! Go Website! Copyright © 2019 Dhalco Web Solutions. All Rights Reserved.